Archive 8mm film and 16mm cine film for a documentary of the London Docks. Des Cox of Snowbow productions commissioned us to produce a documentary about the London Docks in the 1960’s and 1970’s. Des had collected a huge amount of 8mm and 16mm cine film showing the London docks at there height. The footage included a lot of the ships that Des used to work on during his days in the Merchant Navy. Archive 8mm film conversion to digital video. First port of call was to transfer 8mm film and 16mm film to a digital video format for editing purposes. All the 8mm and 16mm film was cleaned prior to cine conversion to HD video. The video codec we decided on to archive 8mm film was Apple Pro Res 720p using a very low compression for picture quality and ease of compositing the final footage. Picture above of FCP X screen the green sections on the time line are the audio clips. 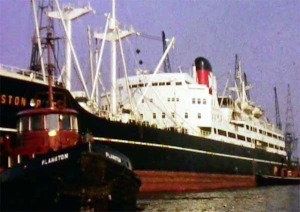 Editing the 8mm and 16mm cine film was a lengthy process involved identifying the correct merchant ships and the correct parts of the Old London docks. 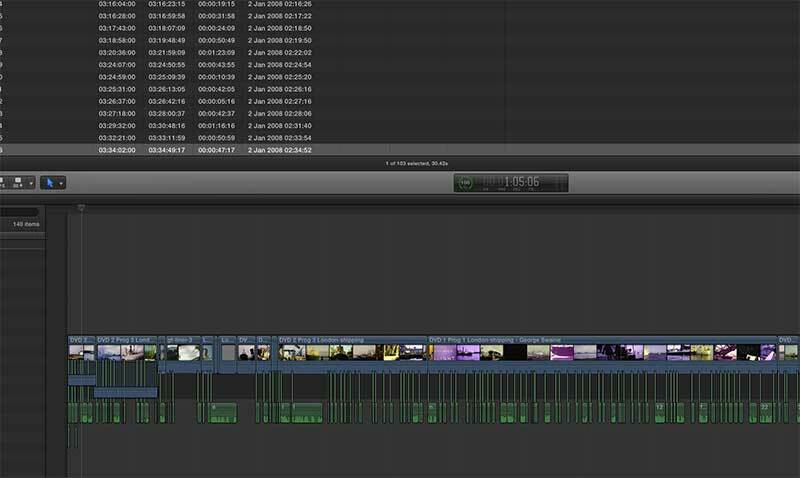 The length of time that each ship appear on screen was crucial because it had to match in with the timings for the voice over which was to be layer down at a later stage in the video editing. Archive 8mm film. Voice over. The voice over was very complexed because the final programme is a hour long. 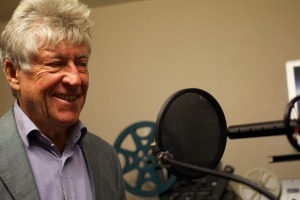 Des was the voice over artist due to his acting experience and his fantastic knowledge of British ports and Merchant shipping. We recorded Des’s voice using a Sennheiser ME-66 shotgun microphone which is an industry standard microphone for video production. This was then recorded onto a Zoom H4n digital recorder at 48 k quality. Archive 8mm film. Keeping it synchronised. During the voice over Des was shown the edited video without the sound but timecode running at the bottom of the screen. This helped Des to know exactly where the voice came in to the pictures on the screen.. Adobe Premier CC was used for the timecode because it has superior timecode facilities compared with Final Cut X.